Two years ago, I was dying rapidly. There were two different causes: my stage four cancer and the resulting chemotherapy. Still, my prognosis was not as bad as it could have been— if the chemo killed the cancer before either one killed me, I stood a good chance of complete recovery, though at the very least I was sure to have a “lost year”. When I got my diagnosis, several peers told me, “Whatever you do, don’t tell your managers. They’ll drop you.” But I decided I had no choice—I was losing weight and strength everyday. Soon my hair and eyebrows would be gone. My reps were sending me out on a lot of meetings and it wouldn’t be long until anyone would be able to see what was wrong with just a glance. The shame of it was that my screenwriting career had just started to take off. I had two features that my reps were enthusiastically shopping around, and together we had dreamed up a new TV series for me to write. They had taken the pilot outline and bible I had worked up for the series to an agent at CAA, who loved it and wanted to set it up at HBO. So there I was a few days later, summoning up all my strength for my weekly Friday conference call about the project, trying to sound thoroughly not-sick. We had our big three-way call with the agent at CAA out in L.A. When you move up the ladder in this business, you always want the new guy you meet with the impressive job to actually be an impressive guy, smarter and sharper than yourself or the people below him… Well, for once, this guy did not disappoint. His notes were incisive and I knew I was in good hands. Since they wanted to bring on a big-name co-creator, they didn’t want me to actually write a full pilot script yet, but they did want me to write some scenes introducing the characters, because those were vital for selling the show and setting the tone. He liked the character sketches I had in the pilot outline, but he thought I could do even better. He explained that we didn’t need good character introductions, we needed great character introductions. 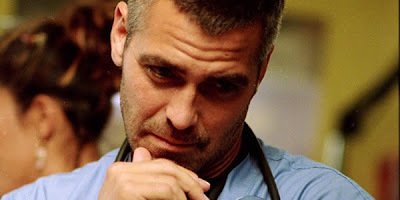 Then he explained exactly what he meant: George Clooney’s introduction in the pilot for “ER”. A pediatrician stumbles into the hospital after a night of partying. 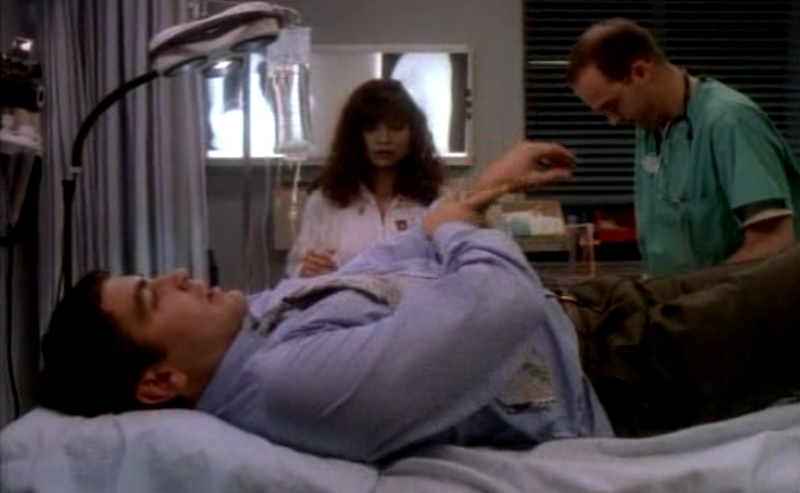 They forcibly hook him up to a saline drip to get him sober and he promptly falls asleep. When incoming patients jolt him awake, he leaps up and flies into action, saving lives. I instantly saw what the agent meant. That was a great introduction, the kind that let you know right away that this was going to be a rich, deep character with eight seasons of conflict built into his DNA. Now I knew that I would be going in for my bi-weekly chemo session that Monday and I would spend the next week twitching on my couch in semi-conscious poison-shock, but after that I would have an off-week to give my immune system time to recover before the next dose. At first I had been amazed at how well my strength had returned during these off-weeks, and I would almost get back to normal, but the effects of the chemo were cumulative, so I was now recovering less and less every time. Still, my career momentum seemed to be on the line, so I took a bet that I would bounce back enough. I told them I would have some great character introduction scenes written up in two weeks. Everybody engaged in some virtual glad-handing and back-slapping, assuring each other that this thing was going all the way to the top. We’ll skip over the chemo week. By the following Monday, I’d had a full week since the dose and I was starting to become lucid again. I tried to use my impending Friday deadline to snap my mind back into line and start writing… but in the meantime, maybe I should take a few more naps… And so went the week. Whenever I could rouse myself to consciousness I beat myself up more and more, trying to force myself to come up with character introductions as good as Clooney’s. But I realized that I just didn’t have the tools. No one had ever asked me to do anything like this before. I went to an “anti-Hollywood” film school where we talked a lot about ideas, and hardly ever about audience identification, which was considered déclassé. Finally, Friday arrived and I had nothing. Friday was also the day that I was supposed to go in and get blood-tested to make sure that I had recovered enough to receive more chemo on Monday. I asked my ever-caring nurse for a “stat” on the blood tests, because I had to rush home afterwards and get some writing done. The nurse looked at my blood work and got worried. My white blood cell count was high enough to get the chemo, but my saline levels were so low that she couldn’t believe I was ambulatory. She ordered me to lay down for an hour of saline drip. As I lay there, I started feeling better and thinking more clearly… Suddenly the humor of the situation occurred to me. I had been studying that “ER” situation so long that I’d started to live it. Just as it had for Clooney, the drip (and the deadline) worked wonders. I went home and wrote all night. In the morning I sent off four pseudo-great intro scenes, one for each character, to my managers and the agent. I hoped that they didn’t respond with any immediate notes, since I was about to go out of commission again for at least another week. So here I am two years later. The chemo worked, the cancer’s been totally gone for a year and a half and my oncologist thinks that it’s never coming back. I’m happy and healthy. But I still have major problems …with character introductions. I’ve spent two years struggling with the question, what made that Clooney introduction so perfect? Well, if you’ve been reading the Hero Project, you’ve seen me struggle through a lot of these issues. At one point I even came up with a character creation checklist, listing 25 things you need to ask about every character before you start writing. But that still didn’t do it for me. In fact, with everything I write, I’ve been adding to that list. This week was supposed to be a seventh week of “Hero Project” essays, laying out the new additions, but, thanks to last week’s work, I think I’m ready to move beyond that. I think I’ve finally got it. So, starting tomorrow. I’m going to do something different. The project is over. I’m ready to declare my new principles. 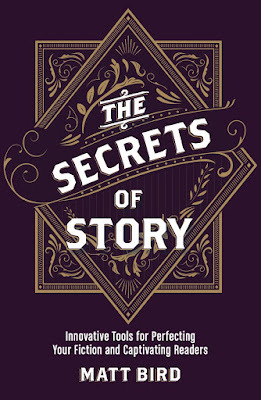 This week I’m going to lay it all down: How To Create A Compelling Character From Scratch, in a step-by-step process. Come back tomorrow. First of all, congratulations on being a survivor. That kind of life-and-death courage and fight doesn't come easy. You've truly had your own hero's journey experience and now you're sharing some of that hard-won knowledge with all of us. So thanks for that too. I wonder if there are one or two characters/stories that you've been dreaming of for a while, ones you would have regretted not being able to share with the world. I hope you're working on those now, whatever else you're up to. Thanks for the kind words. I didn't mean to get all maudlin today, I just wanted to tell the Clooney story and it seemed appropriate to set the stage with all its attendant drama. Of course, to me, it's a just a funny bit of irony, but I guess I knew that anyone who didn't already know the background would more likely find it too harrowing to laugh. Haven't visited your blog in quite some time (and do realize I am here commenting on an old post!) but just wanted to say how glad I am to find you are still here and still posting. I'm reading over your posts on creating characters to help me through a problem in a novel revision. Haven't been teaching screenwriting for a few years now but I still send people your way for clear-sighted advice. If you are interested in skills of how to write an annotated bibliography, click it without hesitation. Congrats for overcoming it and being alive. Great blog. Lots of insight that I only find here.